Plan the biggest holiday of the year with us. To make your time fun and exciting, we have prepared TOP 10 things you can do to celebrate this holiday. After all, 420 is not just a day, it's an excellent occasion to spend time with friends, travel and simply have a great time. Of course, a trip to a neighboring state or to another country would make for an exciting pastime. All countries where cannabis is legal have a variety of festivals, events, sales and cool offers on this day. Where to go to 420? There is probably no reason to talk about the most famous place in the world with legal cannabis - Amsterdam. Not really up to going abroad? There are 9 states in the US today, where recreational cannabis is legal, Colorado being the first to do so. You just need to be 21 years of age and have a valid ID. Wherever corner of the US you live at, April 20 should be warm and sunny enough to spend some time outside, enjoying the fresh air. Make hot dogs and burgers, roast some marshmallows, enjoy your favorite games, or simply bask in the sun. Given that 420 is on Friday this year, you can spend a whole weekend enjoying nature and the company of your friends. If you are not a fan of the latter and prefer more comfort, you can call up your friends, and cook meat and sausages at home, enjoying a bit of cannabis. In contrast to public places or national parks, smoking or other forms of consumption are allowed in private areas in the company of people who are 21 or older. A lot of people think that it’s not for them, but have you ever tried something? If you have, then you know it's a great way to spend time alone and it’s a great feeling to create something new, whether it’s a song, a tune, or a painting. You probably already know that certain strains enhance/develop creative thinking and 420 is a perfect time to try it. Who knows, maybe you will discover your potential of an artist, DJ, musician or architect. If you definitely feel that painting is not your thing, go to an exhibition, a gallery of contemporary art or the like. Cannabis often induces the work of the frontal lobe, which is responsible for creativity, thus being high gives you a different look at things, with a deeper perspective and understanding. You just might find a hidden meaning the creator wanted to express. You can do it yourself or with friends. Or you can join a group. If you like doing yoga outdoors, you should definitely consider the following places - Mt Evans, Grays Peak, Dakota Hill, Thorodin Mountain, and other secluded places up in the mountains. It is best to practice yoga in silence, listening to the sounds of nature, completely clearing your mind, filling yourself with the strength and energy of the sun. And you can always combine it with cannabis for an even deeper relaxation. 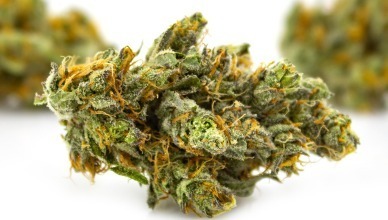 All dispensaries make a lot of special preparations for this day, and since this is the biggest holiday for cannabis enthusiasts and the cannabis industry, you will find the most incredible discounts on this day and often beforehand. It is a great time to stock up for the holiday and may be even for the time after, since you simply get a lot for your buck with all the sales going on now. 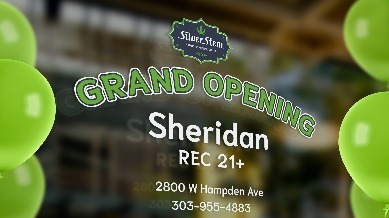 HERE you can see the current 420 sales and discounts from Silver Stem Fine Cannabis. We hope you will enjoy them as well as our product. Have you ever tried cannabis infused hash brownies or cookies? Have you ever tried making some yourself? And cookies aren’t the only thing you can make with cannabis. Actually you can make pretty much anything with cannabis or you can use hemo. You can use hemp oil as a salad dressing or as a substitute for olive/corn oil when cooking. You can use cannabis shake for baking. You can even make cocktails using the cannabis flower. It's time to experiment and try out new things. And if you are not a big fan of cooking, you can simply purchase cool premium edibles and enjoy their exquisite taste and effects. And don’t forget about being careful with the THC dosage in edibles, and the fact that making them at home is not a precise art. Read our recommendations in the EDIBLES GUIDE to learn more. And for the grand finale - 420 festival and other events. We decided not to overload you with long lists, but to pick the most popular ones. And if you are not planning to go to another state, we are pretty confident you will be able to find something in the place where you live - the 420 holiday is becoming a universal event throughout the US. Every year, this festival gathers about 50,000 of the closest people in Centennial Olympic Park in the center of Atlanta for three days of music, cold freshly brewed beer, and much more. It had some of the best headliners entertaining the crows in the past years, and this one won’t be an exception. 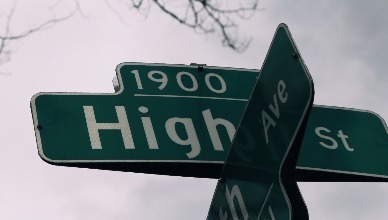 4/20 at Hippie Hill is a San Francisco tradition that stemmed in the 70's. Every year, tens of thousands of people come from all over the world to celebrate cannabis consumption. This year’s celebration will be very special due to the legalization of cannabis in California. Manufacturers of cannabis and related products such as pipes, bongs, rigs, etc. from around the world will be here. All events are for those 21+. There will be a friendly cannabis club area for vendors, a sightseeing tour of Colorado Springs. There will be sales, raffles competitions, and plenty of other entertainment all day long. As a bonus the festival offers an opportunity to take a picture with your favorite with cannabis models and hear speakers from the cannabis industry. We hope this article will help you have a great holiday weekend!